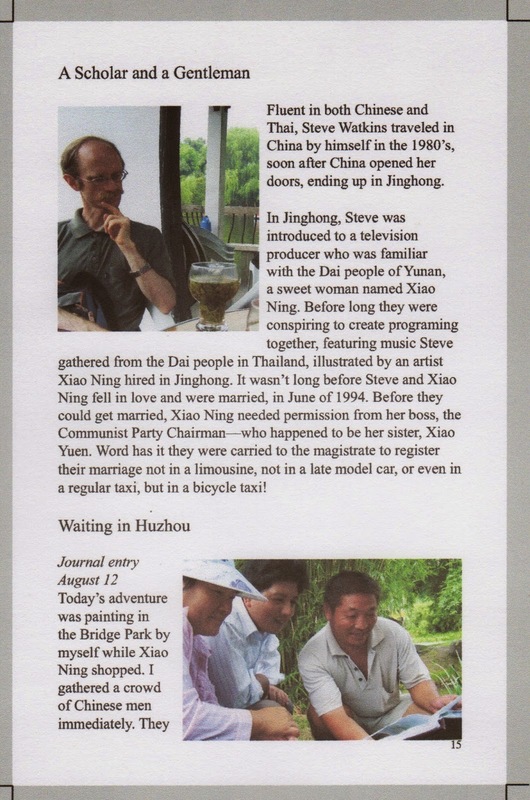 Studio Notes: Soon to be Published! I have so much I want to tell you! I don't even know where to start. Everything I am doing now somehow revolves around stories. 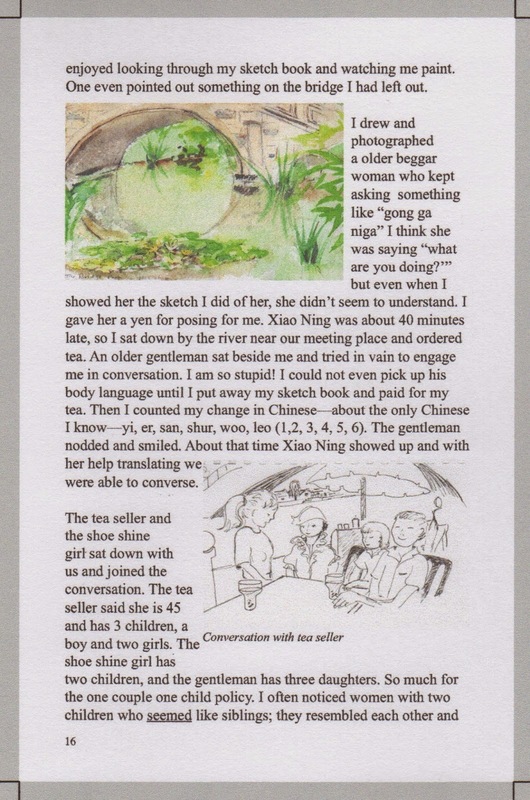 I just finished a little book featuring my paintings on silk, the ones illustrating stories I heard in China. It's at the printers now. I'm crossing my fingers that I will have copies for the spring Studio Tour. Here are some pages from the galleys. At this point it was still a work in process; the type needs to be justified, for example. That's been fixed and I'm biting my nails waiting for it to be approved for printing! 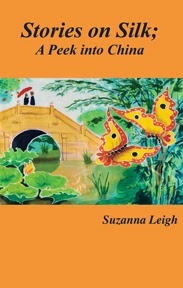 The book features my paintings on silk, the Chines Folk stories they illustrate, and sketches and photos from my journal. Jane Valencia will be telling some of the stories at the Grange, 2 PM Saturday and Sunday May 2, 3, 9, 10, during the Art Studio Tour! Jane is a bard; she will use her harp as she tells the stories! I am joining Will Forester, Marcia McKinzie, Gus Schairer, and Valerie Roberts at Grange Hall, #1 stop on the Vashon Artists Studio Tour. I will of course have paintings on silk, books, cards, and maybe scarves. I will at least have samples of the book and be able to take orders! You can also order by emailing me (studioatsuzannaleighdotnet). The book will be $9.50 plus tax if you order through Amazon (not yet available there); if you buy directly from me, the cost is $10 including tax (you save 25 cents). Will has a new book out too! He has illustrated Deborah Anderson's book of poetry about her spiritual journey. Hopefully, he will also have some prints of some of the illustrations. Marcia does watercolor batiks on paper, which she is selling all over the country! Valerie will be showing her encaustics. Gus's sculptures in soap stone are pretty wonderful!I hope to see you at the Grange! Oh! And Marj Watkins and I will be showing together at the Vashon Community Care Center during May and June. We will be there for First Friday Gallery Walk on May 1st, from 6 pm to 8:30 pm. We are showing watercolor paintings and Marj will have portraits--including one she did of a Nori priestess in Okinawa before Okinawa went back to the Japanese.